It’s clear there’s two camps in the mince pie market. There’s those happy to be the workhorse of mid to late December, bought in their dozens and eaten just as swiftly. At home cold on a plate, with brandy butter or warm with ice cream. Then there’s the upper class, the equivalent to the ‘nice china’ that you only get out for special occasions. This mince pie is the latter. And it’s amazing. Disclaimer: if you don’t like almonds you won’t like this one. 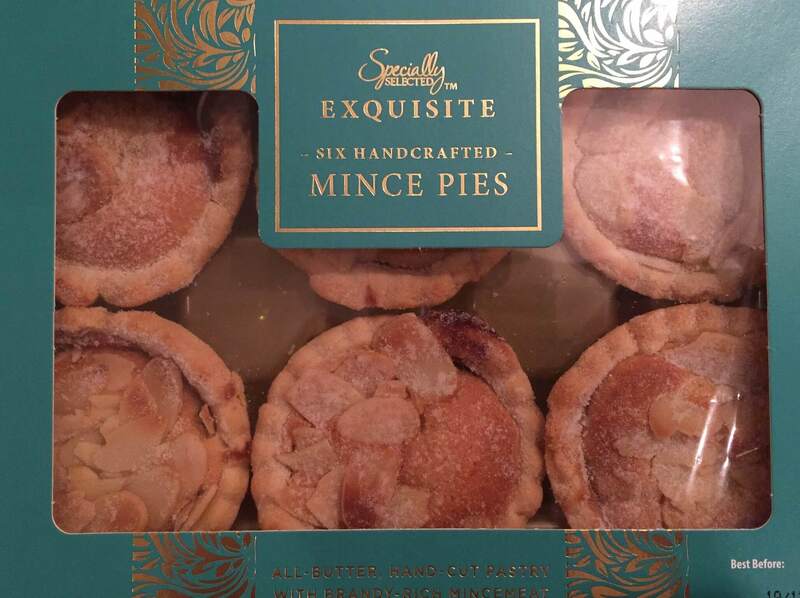 These six handcrafted mince pies from Aldi have a frangipane topping – really nice to bite into, plenty of flavour and sweet. Might be a tiny bit too thick – should have slightly more mincemeat in my opinion. Why? Because the mincemeat is rich with brandy – more so than the other ‘boozy’ options available but still not overpowering. Full of juicy spiced fruit as well! And finally the pastry – pretty much tastes homemade, like the ones a grandparent used to make. Flaky and crumbly but holds it’s shape. If this didn’t have almonds on and the frangipane was slightly less deep…it would’ve had 10/10. Buy some of these to bring out and impress.